We're delighted to share our latest feature in House & Garden Magazine for their December Christmas issue - out now! 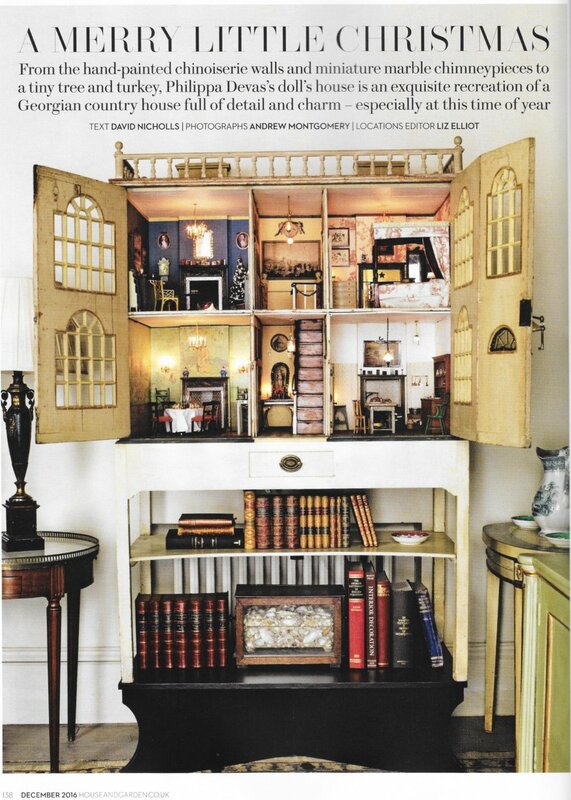 Turn to pages 138–143 to read about Philippa's doll's house project. Philippa worked with dealer Peter Collins to restore a Victorian doll's house and dress it ready for Christmas. The house is decorated in splendid detail; wrapped presents lay under a Christmas tree, garlands hang throughout and the Christmas table is complete with a turkey and candelabras. The project was a real labour of love and the hand-made details are truly exquisite. The house itself is a charming design and when the festive decorations come down, Philippa will be able to enjoy it all year round. Pick up a copy of House & Garden to read more!